Image Boats is an Invercargill-based boat builder and designer that provides an outstanding range of alloy-hulled boats for both recreational and commercial uses. Dean formed his own Invercargill-based company, Image Boats Ltd, in 2000. Dean and his team built their 100th boat in August 2010, and are now well into the next 100. Image Boats manufactures a range of alloy-hulled boats for both recreational and commercial uses. Every boat that Image Boats builds is custom-fitted to be highly personalised to the specific requirements of their our individual clients. Boating supplies, equipment, and marine mechanical services. 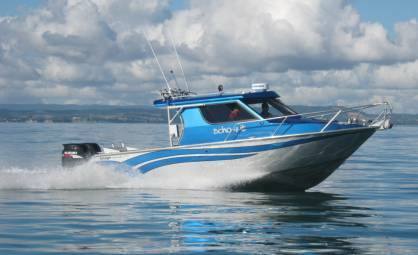 Image Boats Ltd build their Commercial boats to SGS Survey Standards. 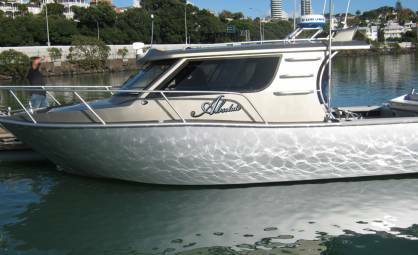 Image Boats Ltd build their Recreational boats to NZ Marine (MIA). All welding is to the NZ Marine Aluminium Certificate Standards. The 2,883 sq m workshop/site is serviced by 2 overhead cranes & one forklift. Plus a standard range of sheetmetal equipment. PRODUCTION OF OVER 100 COMMERCIAL AND RECREATIONAL CUSTOMISED DESIGNED AND FITTED ALUMINIUM BOATS RANGING IN SIZE FROM 4-15 METERS. EXPORTS TO ALASKA, USA, AND AUSTRALIA.